After a week of special events around the downtown area, local buskers turned out for a grand finale performance this afternoon outside EMP. 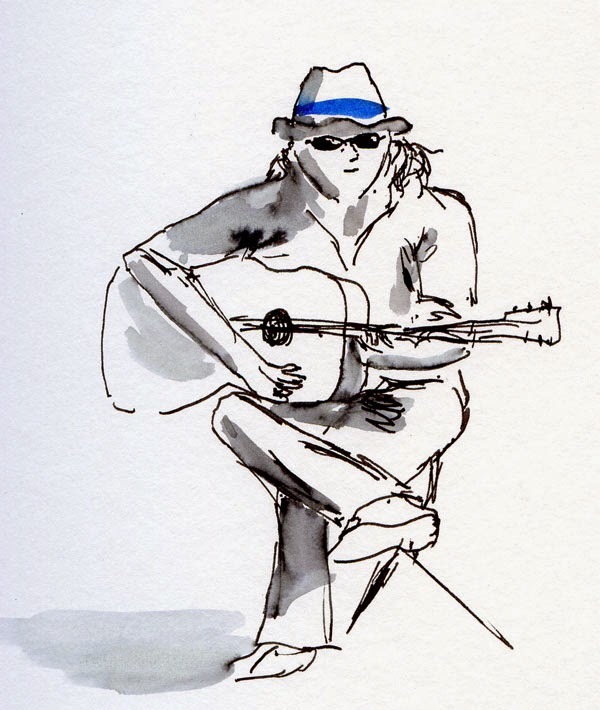 Seattle Busker Week was the 40th anniversary celebration of an ordinance that made busking legal in Seattle. In 1974, busker Jim Page became a local hero when he took on the city prohibition that made performing in the streets for money illegal. 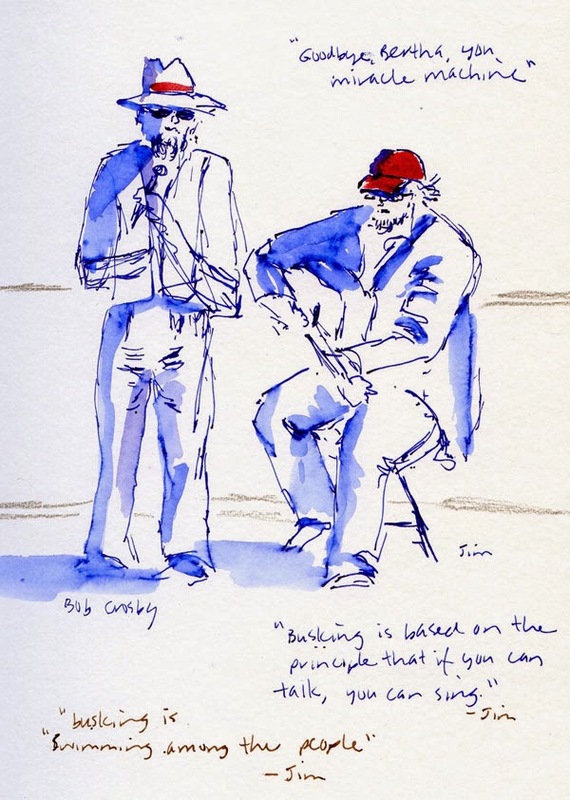 “Busking is based on the principle that if you can talk, you can sing,” Page said, giving anyone an opportunity to perform for an audience. An original song he performed today was a lampoon of Bertha, the expensive tunnel-boring machine which has been stuck for months. 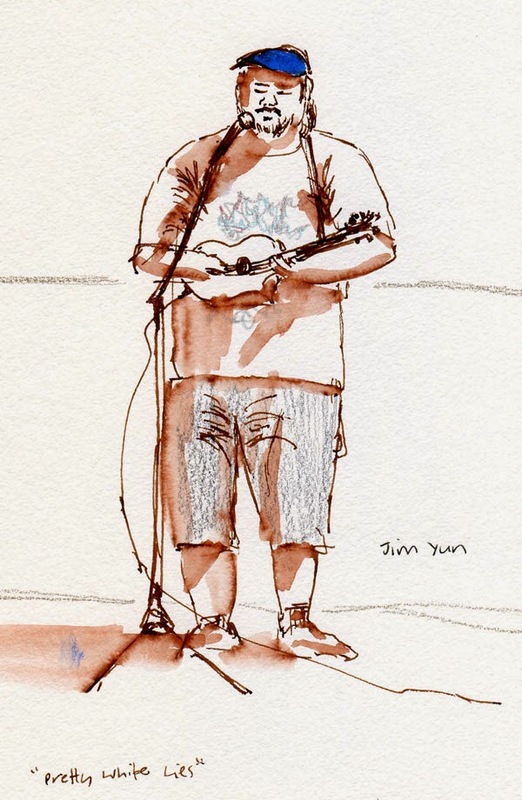 Ukulele player and singer Jim Yun, a Seattle busker who had been in Chicago for a while, began his performance by complaining about that Midwest city’s highly restrictive busking laws. “This is an awesome city for creativity and creative expression,” Yun said, praising Seattle and its liberal busking policies. 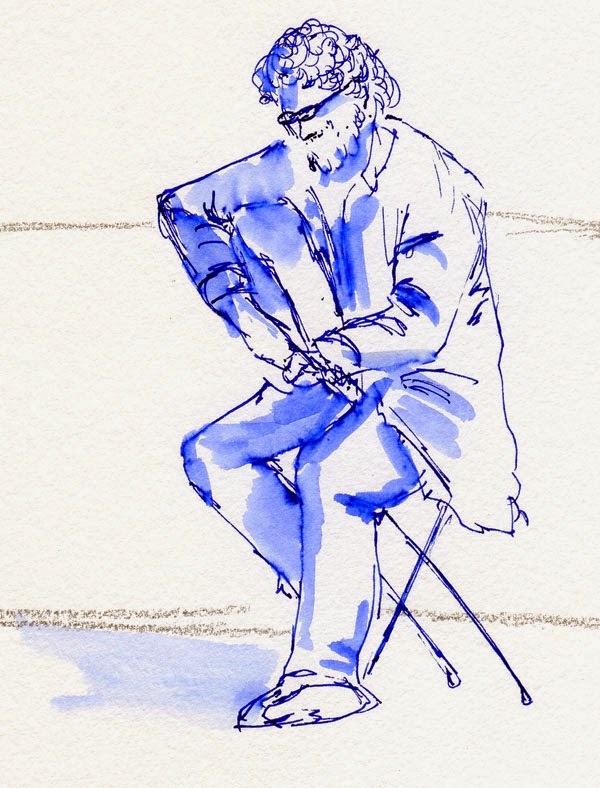 Since I’m a frequent sketcher of buskers at farmers markets and street fairs, and it’s my personal policy to put money in the hat of any busker I sketch, it was a surprising change to see today’s buskers performing without their hats out. But as a celebration of Seattle’s liberal ordinance, it made sense: They gave back to an appreciative city with a free show.